Derby Pyclets were featured in Octobers Broadcast of BBC Radio 4's Kitchen Cabinet when Jay Rayner interviewed Katie and his panel of food experts, including Professor Barry Smith, Rachel McCormack, Tim Anderson and Sophie Wright sampled Derby's tastiest tradition for the first time. Listen below to the broadcast. 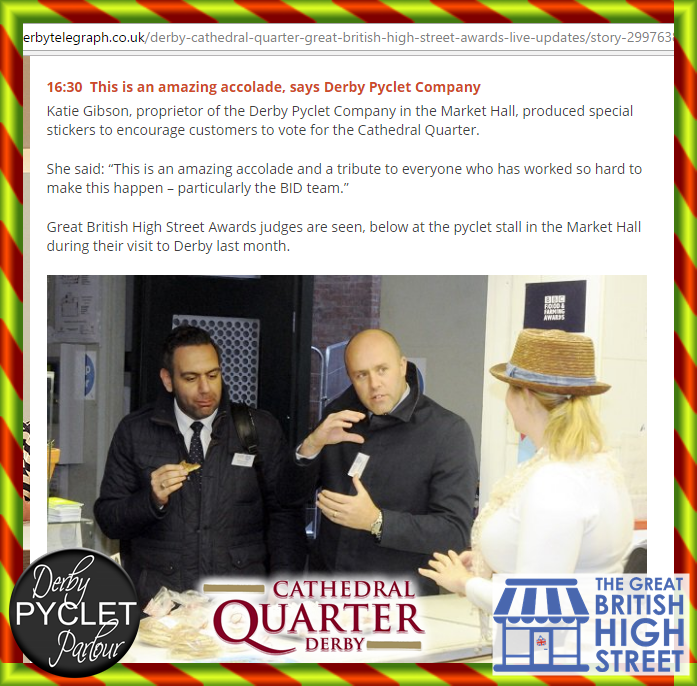 Derby Pyclet Parlour joined a number of other local businesses in the Cathedral Quarter to promote Derby in the Great British High Street awards. 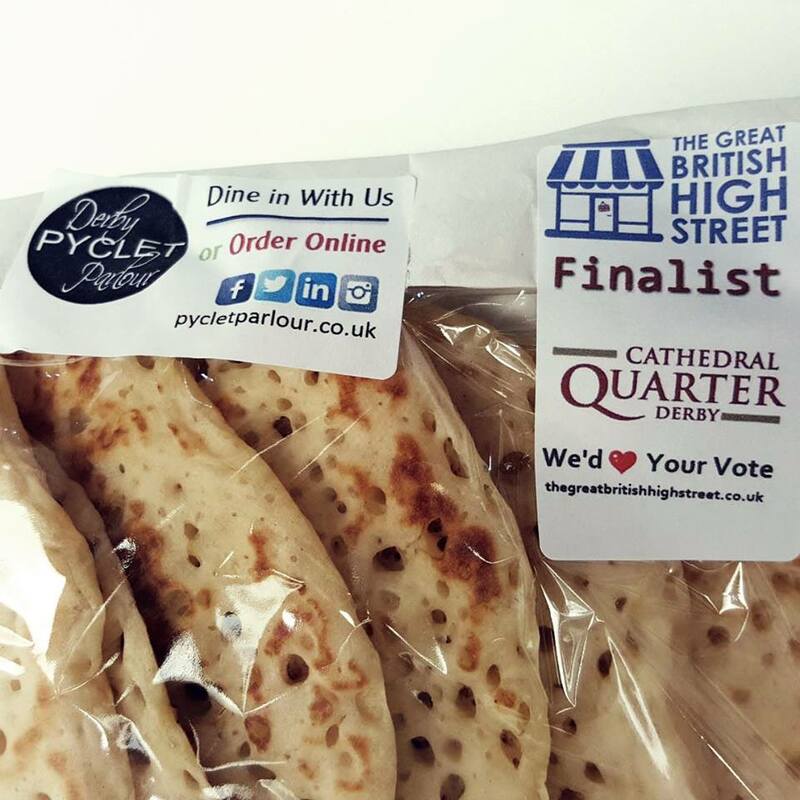 Initial social promotion across all platforms for the nomination was followed by adding our finalist stickers to our packets of which 1000's were sold, talking to our guests and continued promotion of the Cathedral Quarter on social media. This work paid off when we got to join in the Derby Telegraphs campaign in the newspapers, online videos and finally feeding the GB High Street judges when they came to visit before naming Derby as the winner of best City! Derby Pyclet Parlour awarded best independent retailer.